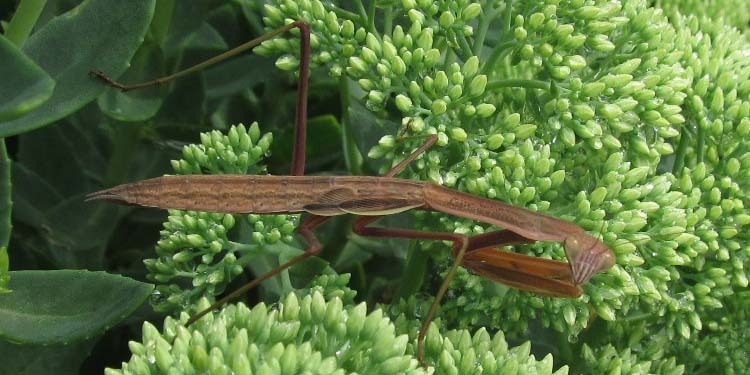 I found this inch-long praying mantis and did a blog about it. The plant it was on drying up. 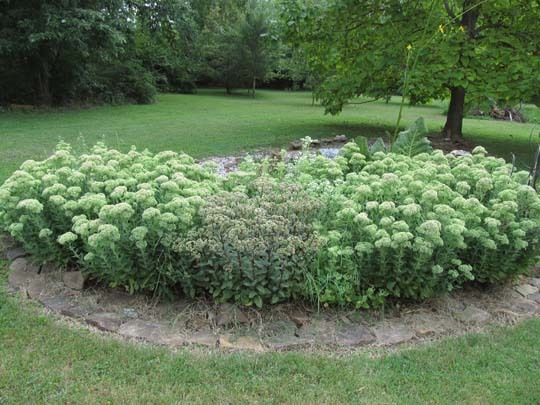 I cut the top off and put it on a patch of sedums where the praying mantis would find plenty of insects to eat. That was on July 23. My sedum patch measures roughly 20×6 feet. 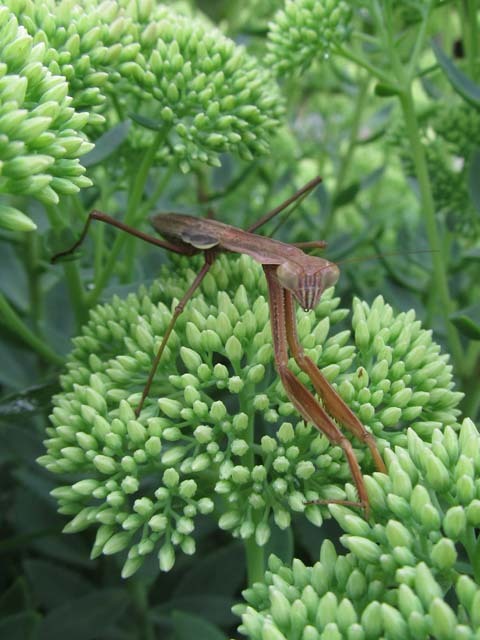 Then I found this praying mantis in the sedums on July 23. Was it the one I moved and had changed color? Will its wings develop? I took this picture on August 17. 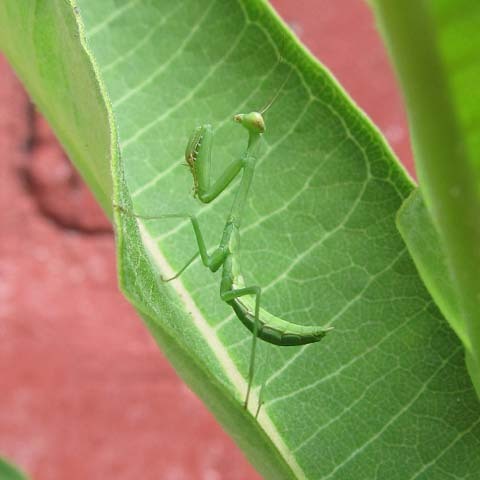 All the information I found when researching praying mantises online was so conflicting. So now there’s more questions than answers. I’ll just enjoy each encounter. My blog site isn’t cooperating again and won’t let me add pictures. I will return as soon as it starts cooperating, which I do hope is soon!